I have been debating whether or not to write a post like this for afew weeks now and I have finally decided to bite the bullet and really hope it doesn't offend anyone as this definitely isn't my intention. I really wanted to talk about how PR companies are really acknowledging that blogging is a form of media and actually maybe over doing it slightly or getting it wrong sometimes. 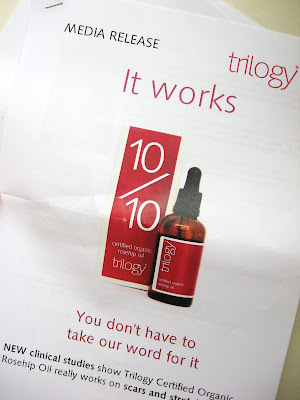 Also I want to touch upon the negativity surrounding some bloggers being sent free products to try out/review. First of all I must say that I think it's great that Brands & PR companies are now working with Beauty Blogger and realize that one person can influence the opinion of others simply by giving a good or bad review of a product or even showing the products in action. So it makes sense that brands are finally sitting up and taking notice and it is a learning curve for them just as much for bloggers as it is quite a new thing even though blogging has been happening for years and years. They send out press releases of new products to make blogger aware of the new products and hopefully so they will blog about the new products. They also send out free products to bloggers - this can be a select few or a high volume of blogger over several months. They also arrange 'blogger events' which I would say is quite new compared to the rest. Blogger events are designed to make the blogger more aware of the specific company as a brand and also to introduce them to a new range of products which they will get to try out at the event and may take home a range of the products. Now to be fair sending out press releases to bloggers is a good idea - it keeps bloggers upto date with brands and in the loop and I know from previous experience it can sometimes inspire blogposts (however I don't rely on receiving press releases as they can sometimes be irrelevant and a bit boring at times) It's also totally free for PR companies to send out the press release as they would be sending it to other publications and forms of media, so it won't be taking up to much of there time. So on the whole it's a simple thing that PR companies can do. The next thing is free products which I know alot of people have a problem with as they think this sways a bloggers opinion and it really is a tough one as I can't honestly speak for all bloggers out there. However I can talk about my own experiences of receiving free products which may or may not lose me readers. I do receive free products and actually decided to not disclaim this in my posts like a lot of other bloggers do (unlike the laws in the US where you have to put a disclaimer). The reason for this is I felt I would be literally saying 'I received this product for free so be unsure whether to trust this review' I also I felt I would come across as to say please believe that I write honest reviews. I also didn't want people to only value products review on products that I had purchased with my own money. As to be fair I can afford all the products myself and simply value readers over free products any day of the week! There is nothing for me to gain over lying about a product. However on the whole I am a positive person so you will rarely write a negative review on my blog unless I am 100% sure that the reason to why I think the product is bad will be shared by others. I therefore do not think warning reader away for a product that say maybe gives me an allergic reaction is a good idea as the reaction maybe was unfortunate and only specific to me. As I am sure if a company sold products that gave certain reactions the company would definitely not be popular and may even be in the media over the claims. Going back to when I would highlight a negative aspect of a product a good example of this is when I was sent some products from the PR company for Model's Own. The consistency of the eyeshadow wasn't good it was very chalky and therefore I thought it was worth mentioning as I am sure most people would think the same if they tried it out. However onto a shampoo I purchased with my own money I had a terrible effect to it - which left me with a terribly dry inflamed scalp for afew weeks. I decided not to write a post on how bad it was and convince people not to buy it for the fear of the same reaction. I just put it down to being allergic to a certain ingredient or that the product was simply to strong for me. Anyways onto the PR side of things - I only actually review 50% of what I receive ( To be honest I don't receive that much) due to companies sending me products that simply don't apply to me or my blog. It would only take a PR company two seconds to find my age on my blog to realize that I most likely don't need any kind of product to do with stretch marks or anti-ageing. So instead of trying out these products that are wasted on me and write a half hearted review on them most likely claiming it doesn't really work. I simply don't review them. I really think this is where PR companies could improve by spending more time looking at the bloggers website and also communicating with the blogger to know what she prefers. Having said that I have spoke with a few companies that understand that some products won't apply to some people so they ask or say what the products are before sending them. Now onto a subject that may be abit controversial. I personally think the way that some PR companies go about finding bloggers is totally wrong. Lets face it they don't look at how many comments you are receiving on each post or ask for your blog statistics so they know exactly how many readers to actually have. 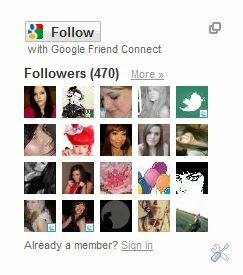 They look at the google connect widget and see how many 'followers' that specific blog has. For me google connect is there for readers so that they can read new posts in google reader and keep upto date and the same when I read a good blog, I click 'follow' and know I won't miss a post by that blogger. It isn't there though as a measure of your blogs success, as a person can have over a 1000 followers and very little in the way of daily activity from the supposed one thousand readers. To me this is quite stupid way of deciding on which bloggers to contact or not. Also I think taking maybe 5 minutes or so to read a post or too to see if the blogger reviews things well is a good idea. I must admit I sometimes wonder why companies do send me products when I see my blog as very small compared to some. I really doubt I influence that many readers to go out and buy certain products. Also increasingly I think quite alot of us have seen the same things being reviewed over and over again on blogs and I don't think 30 good reviews on a certain product makes most people get out there bank card and buy one. I think it just highlights that the product was given free and it gets abit old seeing the same reviews! If a brand has a new product out I think it would be wiser to select afew bloggers to review the item. Also I think it is just abit too corporate when a company sends out the full range of a new product to a blogger, say a full range of nail polishes or lipsticks, it just isn't a realistic situation to see a blogger reviewing the 12 new shades of x brand all in one go. The next topic I want to talk about is Blogger Press Events - Now I am well aware that I may come across as a jealous as I haven't attended a blogger event but hand on my heart I am not jealous in the slightest and my gripe isn't even with bloggers. So these types of events are pretty new really to the blogging world however press days have always be organised where writers from newspaper's or magazines go along to an event to look at a new range of products and listen to some person ramble on about the 'ethos' of the brand! However for some reason the blogger events seem to be bolder and better..almost like the brand is bending over backwards for them and lets be honest I am sure brands don't favour bloggers over magazine writers. However they know that magazine writers are professional and do it as a career. Where as bloggers do not need to blog about products and definitely don't financially gain from it. Also press days/events are kind of meant to be the behind the scenes part of the whole thing, where a writer/blogger can go to be educated in the brand and there products, which is why we don't read about them in magazines. However increasingly we are seeing bloggers writing posts about the blog event they went along to and rightly so! I am sure if I was fed cupcakes, played with makeup while drinking a cocktail then sent on home with a bag of goodies I would be blogging about how amazing it was. Wouldn't you? Which makes me believe that the blogger events are planned out to be like this so that bloggers blog about the event and how great it was - which is free positive advertising for the brand straight away and it may even make the blogger feel positively towards all the products they received on the day. So it nearly guarantee good future reviews of the brands products. 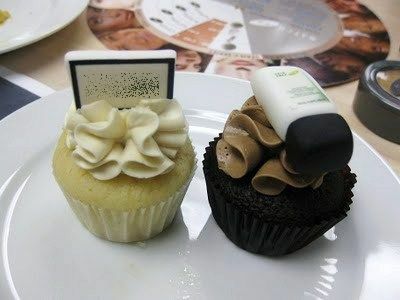 What would be nice to see is bloggers being treated similar to magazine writers, yes the odd cupcake and cup of tea. But basically to educate the blogger about the brand in maybe a less formal way but with no fancy dress themes or free cocktails in a swanky bar! So that they can take away that knowledge and use it when talking about the brand in the future. We are after all intelligent people that have a passion for makeup/beauty and don't need all the frills! So there you have it, my thoughts on how PR companies interact with bloggers and what things maybe need to change! I really hope you don't dislike me too much after reading this and if you have read the whole thing, well done! I know it did turn out to be a bit of an essay. At the end of the day we all need to remember, free products or not, that we do this because we want to and we shouldn't blame or look down on other blogs or get annoyed when we see a disclaimer. I think we can all learn from each other and that is including brands and PR companies! I really enjoyed reading this post. It was a real insight into PR & Beauty Blogging. Don't worry, I don't think anyone will be offended by this post! I agree that PR agencies need to refine who they send information and invitations to. I've been invited to events for face peels and fillers (which I politely turn down)! I find it interesting and actually quite refreshing that you don't disclose that you were given a product for free. I too dislike writing "disclaimers" for exactly the same reasons as you. However, rather than run the risk of disgruntling any readers or other bloggers, I just put a quick disclaimer on the end... hopefully my readers can see I still give an "honest review". On another note, I hate the term "honest review" and avoid using it! On the event side, I wish some PRs would realise that not all bloggers are "bliggers" who just want free cocktails and fat goodie bags. I much prefer the more informative events where I learn something new about the brand or product that I wouldn't have known otherwise. And I prefer it to not be purely marketing fluff that I could read from a press release. It's nice too if it comes from someone who has played a part in the development of a product. That's what's going to make me notice a product, not goodie bags and cupcakes (which I can't eat anyway with my lactose intolerance!). I always feel slightly offended when there's little or no "information" at an event, and I'm much less likely to review a product in this kind of situation because I don't feel that I can add any value to a post. Apart from all of the above, I'm just enjoying blogging as a hobby and watching the blog PR space evolve. It might all change very quickly! Great post as ever, and don't be daft no one would think worse of you for reading that! As someone that has had no experience of PR it is very interesting. I have come across bloggers that have been chosen for quality rather than quantity. So, I think some PR's must actually take the time to read and consider whether the writers style or approach is a good fit for the brand. It's a really nice change to see that. Oops I didn't actually finish what I was writing on the etiquette of blogging! So... I was saying... I'm still working out the etiquette of blogging. If I find a product I've been sent so-so, does the brand who sent it to me get offended if I just don't write about it? Or do they prefer me to just not post at all rather than writing a negative review? I don't really want to fill up my blog with continuous posts that say "I found this product blah but maybe it's just me". In the end, I just don't write about the blah product... it's boring and arduous for me to write those posts as well as for my readers to read them! I only have five followers (at least one of which is questionable as to whether or not they are really a follower), so I don't think I'm the type to be getting any of this stuff so soon. In fact, I received an e-mail from some company, but I have no idea if it's legit or not (that's how "green" I am! lol! ), so I've chosen to ignore it. That said, I would personally love to have a PR rep or company send me news and updates on different brands of products, but I do not want any freebies. And that's really just a personal preference. I'd rather spend my own money on it, because then I can talk about prices and bargains and the shopping experience first-hand, in addition to the pros and cons of the product itself. I'm in the U.S. so I would also be obligated to put the disclaimer on my posts, and I really just don't want to have to to do that. I mean, it's not hard to do, no, but simply because there ARE readers out there who would be put off by such a thing, I just don't want to get into that fray, so to speak. I totally get what you're saying, though, and I agree that it's awesome that companies recognize bloggers as a source of "advertising" as well as informative feedback. I don't even mind those bloggers (or vloggers) who DO accept free products to try - that's their choice to make. I know ME; I know what I like, what works for me, etc. If I see a review of something that just doesn't interest me, or I can tell that it wouldn't work for me, it really doesn't matter if the product was free for them or not, or whether that "perk" swayed them in their opinion. In the end, for a reader, it's really all about knowing yourself well enough to interpret the information being presented to you, and to make a decision based on your own needs, wants, opinions, perceptions, etc. - regardless of how a blogger received, or even reviewed, a brand or product. Really interesting post. I agree with an awful lot of what you say, especially about PRs needing to do a bit more research into who they send their products to - the most recent example being the products that were sent out to a lot of bloggers who had deadlines to review them - one of these products seemed to be some sort of anti-ageing serum that was being sent out to 19 and 20 year olds! In that instance I don't think I read a single one of the reviews, purely because there were just so many of them, for the same product, all at the same time, that it totally turned me off. Where the same product has been sent out to a load of people at the same time, this puts me off both the blog and the product a little bit. I don't criticise the bloggers themselves for a second for accepting and reviewing the products, (hell, I would!) but I do believe PR companies need to catch up a bit in their approach to advertising through bloggers. Its probably inevitable because its still a relatively new form of marketing for the industry, but I think some need to become a bit more intelligent in their approach. Likewise with the blogger events, these are not something that I'd ever be able to attend due to my location and work, and to be honest while it would be lovely to meet some people in real life, I'm not sure I'd really want to go to this kind of event anyway. I'm not suggesting any bloggers who do choose to go and subsequently review those brand are in any way dishonest, but it does smack a bit of the PR companies trying to 'buy' good reviews. Where I do slightly disagree with you is on the subject of 'disclaimers'. I'm pretty new to this blogging lark and, as such, have never been contacted by any companies to review anything. However, I do still put a 'disclaimer' on my reviews confirming that I bought the products myself. I have to admit I do like to know whether a blogger has actually paid for a product themselves. Not because I think the review is dishonest if they haven't, but to be honest I do think it makes a difference to how I 'read' the review and how it makes me feel about the product, so I would rather have all the facts. Also, I have written reviews when I've had a bad reaction to a product. Even if it might be fairly unique to me, there's still a chance that it could happen to someone else with a similar skin type to me, and I do think it can be informative for readers. Re disclaimers, I do put them if I remember but actually I agree with you and I think it should make no difference. My readers eiether trust me or they don't. Great post and I agree with most of what you've said. I do like to know whether bloggers have paid for the products that they're writing about though. @Beauty Scribbler - I know what you mean about hating the term "honest review" but I think it's because we shouldn't need to say that we are being honest! As for the etiquette of blogging.. I think people would much prefer no review than a review saying the product was 'ok' It is also just so boring to write a post like that! I should of really mentioned that there are companies out there that have handpicked the blog to send free products too... but to be honest I think that is when the brand manages the PR themselves! Instead of emplying a PR firm to do it for them. All always it's good to know what you think :). I know what you mean about talking about bargains and how to found the product and you can only do that if you buy it yourself and it is something like I like to do..to mention that I have bought something for x price from such-a-place. Also totally agree with your last point. Thanks so much for an interesting comment! @missy_ellie_uk - Really a deadline to review a product! gah that is sooo silly. Also you really have put it in a nutshell PR companies do need to catch up in their approach for it to work properly. Also like you say it kind of is like schmoozing the bloggers so that hopefully they will have lots of positive things to say about the brand and there products. As for disclaimers I think this is where alot of people differ and I am still unsure whether or not to put a disclaimer like you say alot of people do want to know all the facts and I sometimes feel like I have left that part out! But I know that alot of people aren't like you and will think it may be a dishonest review. Thanks for all the points..your comment has made me think. @Charlie - I really like how you put that your readers either trust you or they don't. I totally feel the same! As for PR companies looking at comments I actually agree even though I put that...but at the end of the day..just to may sure having a blogs stats is a definate way to know if the blog is worth working with. Or even a page counter..but most people don't have them. I've been thinking about this some more this evening. I really like Get_Lippies disclaimers. They are very small but extremely funny. And somehow because of this, I know she will give me the honest truth without her really stating it. If you decide you want to let people know what you bought and what was sent, I think humour is a great way to do it! It's a great post, you really didn't have anything to worry about. Well done with going through with the post anyway. I think your points are great. I get what your saying about google friends connect....it can mean anything....that the person has worked hard and has serious followers or a Bicky pointed out last week, it could be that they've had a Mac give away. On the other hand as Charlie said, you could also just have a core of commenters. But most of us have statistics providers of some sort running on our blogs. I think these are the things that the PR's need to look at. I know which pages get most views on my blog, which brands are of most interest so it's not hard for someone else to tap into this info and pic suitable bloggers accordingly. I do think it's better to be honest with the provenance of items. I want to know if you've chosen an item yourself and why. If you have a high turnover of items, I want to know you can afford that kind of expenditure. Particularly in the current financial climate, there are young girls out there who need to know that money doesn't grow on trees and an endless supply of undisclosed gifted product. Well you get the picture. As for the blogger events, I quite like to hear about them. First hand experience of the brand gives you an insite of what or who you are buying into. A few extra comments have appeared whilst I was writing my epic. But I just wanted to say that like Modesty Brown I think Get Lippie's disclaimers are the best. Nearly wrote it before but couldn't quite make it Run. With regard to MyPure... I didn't just review the products but blogged about the process of how and why I ended up reviewing for them and there will be follow ups. I won't bore you with a massive comment though, but I do agree with what you're saying. I think it's quite good to not say you're getting the product for free. Normally if I see that, then it does make me think that the person might be making the product out to be better than it is. Also, with regards to followers, I do think PR companies should look at how many comments posts are getting rather than followers. I've seen some blogs with other 800 followers, but rarely getting any comments on their posts. Sorry I said this wasn't going to be long :) Great points you made though. Great and very thought provoking post. I understand your reasons for not explaining you have been given the product for free. The fact is that you express your opinion in your own words. 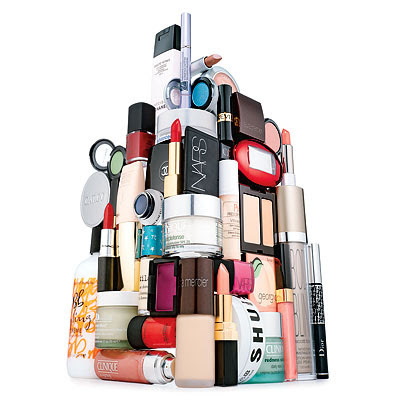 What really annoys me is the beauty and makeup sections of many magazines in their "what's new' type section just rehash the exact same words of the press release!! So lazy. I think that a Bloglines-list of subscribers would show a lot more accurate number. Plus, while a lot of readers might not comment on every post, most comment sometimes. A blog without comments isn't really a blog as I think blogging is about communication. As far as blogger-events, I don't get it. Sure, it's catering to girls' vanity, but ...I think that a lot of bloggers are getting used to getting too much for free and some PR-firms are creating monsters they have a hard time to control. Some of the things I have seen bloggers invited to (and ranting about) would be considered a bribe if it was for a journalist. Interesting post, personally I like to see disclaimers about whether or not someone is getting something for free. Also the blogs that appeal to me the most are the ones that generally go over the pros and cons of a product, I want to hear about the bad and the good so that as a consumer I might know what to expect. So basically, you said everything that's in my head... but made it way more interesting and organized :P Thank you! I think the only point where we do have some variation is in disclaiming. I know it's important to my readers that I'm very up-front with adding disclaimers to features, so I always add it in! But in terms of whether or not that changes how readers view my posts? I don't think it does, actually -- I just take care to point out both the good and bad points of any product, even if it's overall quite nice, and I think my readers trust the review just as much (or more) because of it. 'unlike the laws in the US where you have to put a disclaimer' It's not just US bloggers that have to put that though. If your blog is viewable in America you're still meant to disclose it. Surely your followers would trust your opinion. And I'm sure you wouldn't lie to them! This is a really great post, and anyone who dislikes you for it is an idiot, I have to say! You made some really good points, and I agree with the very vast majority of them. Several people have already made the point that blogging/PR interaction is very new, and we're all, kind of, making up the rules as we go along at the moment, on both sides. This means, inevitably, that mistakes have been, and will continue to be, made. It's always the same when new things are happening. That's also what makes it interesting! Blogging has changed so much, even in the short time since I got involved with it, I think it's going to be fascinating to see how both brands and PR firms keep bloggers on side over the next 12 months or so. I've been very lucky - I can't deny it - but I try, at all times, to remember why I started the blog, it's not about ME, it's about the products, and no amount of PR contact is going to change that, really! I work damn hard on my blog though, many more hours a week than I ever expected, and sometimes it's worth me, and other bloggers remembering that PRs work bloody hard too. It's very easy to condemn people when things go wrong, but if we talk to PRs about what works for us, it'll be better for everyone in the long run, which is why posts like this are great. This is an absolutely fantastic post, well written and you make some incredible point - a must read for all bloggers, not just beauty bloggers! I've never been sent anything to review from a PR company, but must admit, I would enjoy it if I did! Hi, these nice pictures and so awesome, and its great post & very informative post, really I get the profit from here. Wow! Lurv your point of view. I will just disagree on one point- bloggers have more credibility than editors. Bloggers own the near future. This is a good post! I agree that PR are now accepting how effective blogging is and how they are able to get honest opinions on their products, as opposed to magazines who only really talk about the ingredients of the product and what they're meant to do, rather than how they actually feel/how well they work. I actually want to go into Beauty PR, so this all really interests me! Not that its happened to me but I see tweets when bloggers are upaet because someone has asked them to mention their products for free or asked if they like a product but that blogger wasn't invited to the event or blogpost after blogpost saying i received this before the launch. One blogger has been guilty of the latter more times than not and it seems like a huge advertising site, no I am not jealous but bloggers reviewing free/gifted products should spread it out a bit and provide a variety to the readers. This is a presumption that skin care organizations need you to think, angelina jolie skincare yet it's unquestionably false. Not all substances and fixings that are tossed into a hyaluronic corrosive beauty cream can adequately infiltrate through your skin.